Tongue-tie in infants and children is a condition where the frenum is tighter than normal, limiting tongue thrust and range of motion. In neonates, the condition can inhibit feeding and nursing, while in older children it can cause difficulties with speech, salivating, and swallowing. The experts at SoundView Oral & Maxillofacial Surgery in New London, CT, specialize in dental and oral surgery for adults and children. In addition to performing procedures such as wisdom teeth removal and cleft palate surgeries, their experts also specialize in tongue-tie surgeries. Although tongue-tie has long been observed in infants and children, the decision regarding whether or not to perform oral surgery to correct this condition is a more recent discussion. The first surgeries to correct tongue-tie were performed in the 17th century by midwives. The frenum was snipped in order to free up tongue movement and allow infants to nurse more comfortably. Today, snipping is still performed, though other methods including surgical revision of the frenum under a local anesthetic (after six months of age) and revision of the frenum with a laser using no anesthetic are also available. These procedures are all equally successful when performed appropriately. Oral surgery for a tongue-tied infant or child takes only a few moments, and 57% of infants show an improvement in nursing after two hours, while 80% were feeding better within 24 hours. 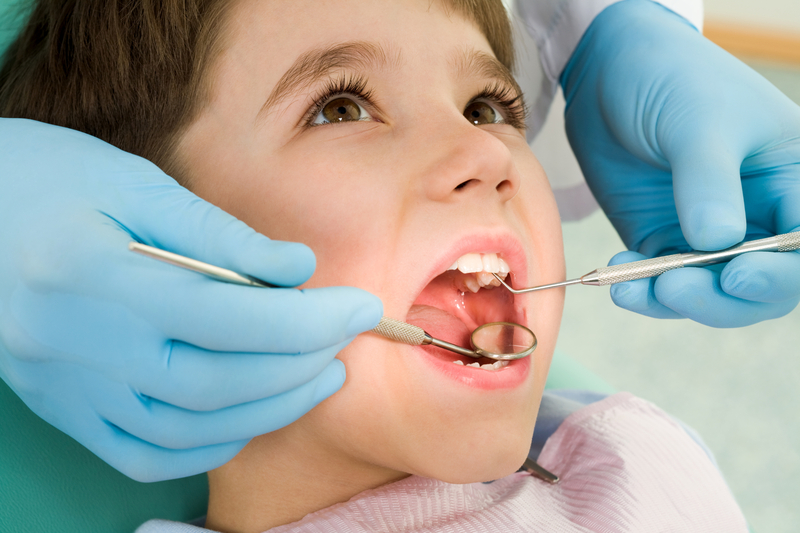 However, not all parents or medical professionals agree with the removal or revision of the frenum — also known as a frenectomy — in infants and children. Some worry about the long-term effects of placing a child under local anesthetic at such an early age. Others note that even with early intervention, many children still need follow-up surgeries later in life. Each case is unique, and ultimately it is up to the parents — with the advice of a doctor — whether or not to intervene and how soon the intervention should be performed. If you are interested in learning more about tongue-tie and treatment options, call (860) 443-3619 or visit the SoundView Oral and Maxillofacial Surgery website. Their specialists and oral surgeons can also work with older children and adults to perform procedures like tooth extractions and jaw reconstruction. To connect more with their team, find them on Facebook and Twitter.